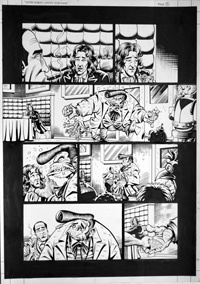 This is the original Pen & Ink drawing by Roger Langridge, David Roach. Page three of the story Where Nobody Knows Your Name published in Dr Who Magazine issue 329, 2003. After losing companion Izzy the Doctor goes to a tavern for a drink and a think. He meets Bish or Frobisher the shape shifting alien who was a companion of the Sixth and Seventh Doctors. They chat and resolve some issues without realising who they really are. The whole story is a homage to the TV series Cheers. Featuring Paul McGann as the Eighth Doctor. 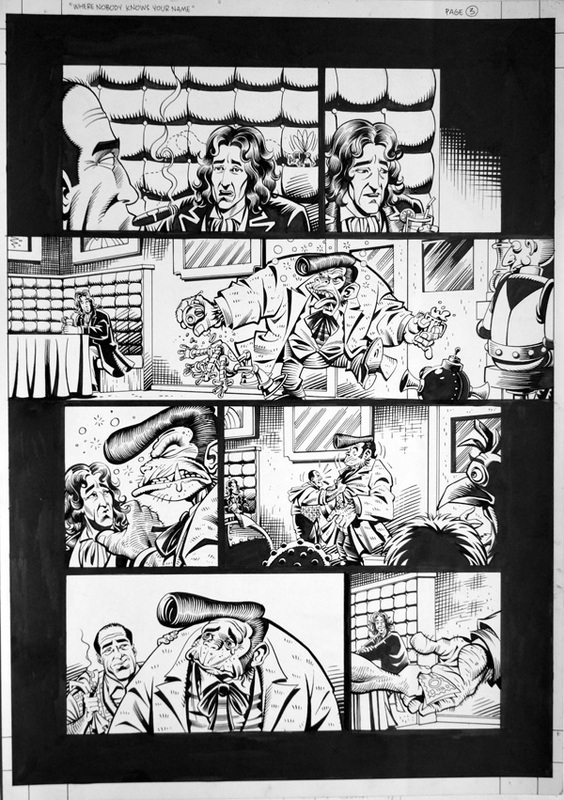 Pencils Roger Langridge, inks David Roach.